This stress-filled life you’ve been living isn’t the only option. The 1Body Method is a way to find the inner peace you’ve been searching for. For most of us, overreacting to the stress in our lives is the norm. We fly off the handle when we get in over our heads. Our relationships break under the weight of our daily responsibilities, and no one is surprised when we wind up at the doctor’s office, asking for help to just make it through another day. In its most simple form, the 1Body Method shows up in the midst of all your stress and the chaos, and it declares that there is another way—one where you do not have to be victim to your stress for one more minute of your life. You already have exactly what you need. You just need to learn how to uncover it. It’s true. Your body already knows what to do when stress shows up. The problem is that you’ve just never been taught how to truly listen to its signals. The Method begins by empowering you with simple practices and understandings that will lead to more clarity and greater peace of mind. 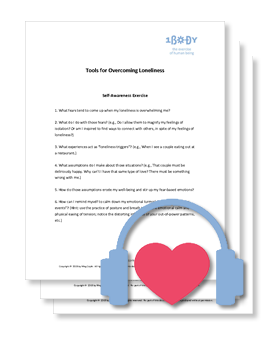 And when you begin with the basic steps of the 1Body Method, you’ll discover how these simple practices can help you peacefully navigate through life, no matter how stressful it may become. I'm Meg Coyle, Founder of One Body Inc. 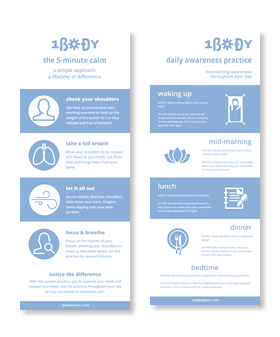 Whether you sign-up for one of my free classes or want to participate in a more intensive course or private program, the 1Body Method is designed to help you patiently and compassionately transform your life with true awareness. 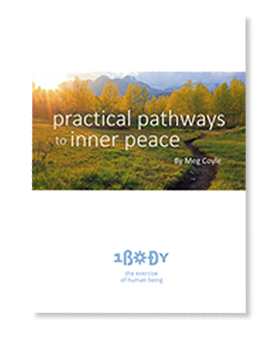 "Meg shines a light on the mental and emotional habits that keep us locked in stress, and she provides gentle and simple guidance on how to shift patterns that are destroying our joy in living." "I can't thank you enough for reminding me that all I need is already within me, and for showing me a reliable way to access inner wisdom." 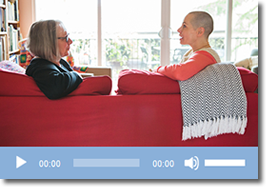 "This practice helps me to get honest about what isn't working in my life. I can now trust my decisions because they're anchored in authenticity." 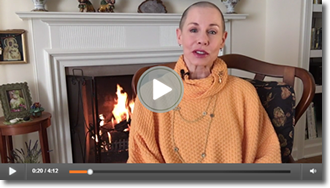 Sign up for my free stress-mastery tips, practices and insights emailed to your inbox twice a month, and be the first to know about upcoming courses, guides and workshops. Yes, I want to join the 1body community!